Almighty God, we praise You for the service of Philipp Melanchthon to the one, holy catholic, and apostolic Church, in the renewal of its life in fidelity to Your Word and promise. Raise up in these gray and latter days faithful teachers and pastors, inspired by Your Spirit, whose voices will give strength to Your Church and proclaim the ongoing reality of Your kingdom; through Your Son, Jesus Christ, our Lord. Amen. 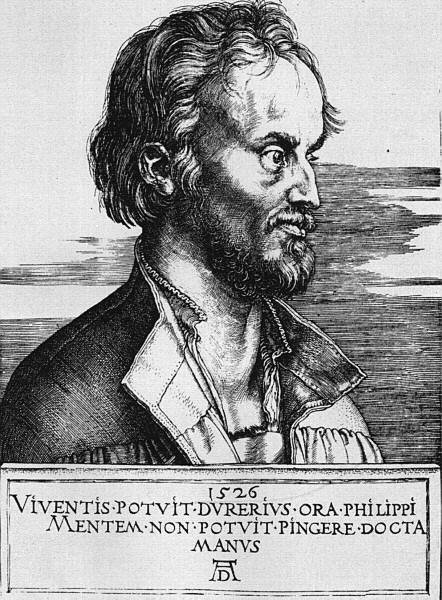 Bio: Philip Melanchthon (1497-1560) was a brilliant student of the classics and a humanist scholar. In 1518 he was appointed to teach along with Martin Luther at the University of Wittenberg. At Luther’s urging, Melanchthon began teaching theology and Scripture in addition to his courses in classical studies. In April of 1530, Emperor Charles V called an official meeting between the representative of Lutheranism and Roman Catholicism, hoping to effect a meeting of minds between two opposing groups. Since Luther was at that time under papal excommunication and an imperial ban, Melanchthon was assigned the duty of being the chief Lutheran representative at this meeting. He is especially remembered and honored as the author of the Augsburg Confession, which was officially presented by the German princes to the emperor on June 25, 1530, as the defining document of Lutheranism within Christendom. After the presentation of the Augsburg Confession, the papal church wrote a response to it, the Confutation. Once again, Melanchthon was called upon to write a defense of the Augsburg Confession. The Augsburg Confession and The Apology of the Augsburg Confession are the first two confessions in The Book of Concord (1580). Melanchthon died on April 19, 1560. Article IV, Of Justification: Also they teach that men cannot be justified before God by their own strength, merits, or works, but are freely justified for Christ’s sake, through faith, when they believe that they are received into favor, and that their sins are forgiven for Christ’s sake, who, by His death, has made satisfaction for our sins. This faith God imputes for righteousness in His sight. Rom. 3 and 4. Professor Melanchthon demonstrates that the Faith confessed in the Nicene Creed is the justifying faith in what Christ has done for us in His death. The faith is Biblical, confessional, evangelical and catholic. If we could be justified, made right by our own “strength, merits, or works”, there would be no need for Jesus Christ. Justifying our selves is the daily grind of news, op-ed pieces, talk show ‘confessions’, and the like and it is pitiful. It is as pitiful as Adam covering his shame with the sham clothes of fig leaves. A saying that made the rounds a few years back was, “You can run but you can’t hide”,is truthful. The Old Adam knows that. Here is Jesus, true God and true man, searching as a father for his lost son, as a shepherd for the one lost sheep, as woman looking for her lost coin, loving us to our death and raising us up by His indestructible life (Hebrews 7: 15-17). His Passion is our passion as we approach Lent this week.